"With increasing dependencies on sophisticated and expensive healthcare technologies, healthcare executives must make strategic and sustainable choices for acquiring and managing technology. Healthcare Technology Management (HTM) professionals are vital partners to help executives achieve this goal. Clinical engineers, biomedical equipment technicians, and other HTM professionals use their expertise to ensure around-the-clock safety, efficacy, and availability of life-saving technologies, while keeping healthcare costs down." Denova Medical, Inc. has adopted accepted methods of HTM into its refurbished medical equipment business model. Technological innovation and IT integration has caused an increased in the obsolescence rate of medical devices. During the last decade, the refurbished medical device industry could provide equipment for a fraction of the cost. However, increased expectations in the accepted quality of care due to rapid technological improvements has reduced the time-life-cycle of most medical devices. Many refurbished medical equipment companies will happily sell a refurbished machine at a low price knowing quite well that the cost of ownership would be a loss return on investment (ROI). The hidden long term losses are due to part, service and accessory obsolescence. Older parts can frequently become expensive because the part is no longer mass produced due to outdated manufacturing processes and lack of demand. The knowledge base to support and maintain these device is not practical because new technicians are not be trained in products that are no longer manufactured. Most medical devices typically have disposable or multiuse accessories that are no longer available or soon to be unavailable making the device useless. Denova Medical, Inc. sales engineers have an education in medical devices plus receive extensive product knowledge training. They are knowledgeable in the strength and weakness both from a technology, features and maintenance perspective for all the equipment we sell and support. They are here to help you analyze the most cost effective options of new, used and reused equipment and will steer you away from devices with limited meaningful use and high long term costs. Denova Medical, Inc. has the ability to manufacture aftermarket parts, perform part overhauls and cross reference parts. Many devices that may be obsolete by others can still be supported by Denova Medical due to management’s emphases and capital investment in our engineering capacity. To help medical facilities maximize meaningful use of their healthcare technology. Denova Medical is a market leader in refurbished medical equipment with innovative management processes applied to this industry. Denova Medical is the first medical equipment refurbisher to offer combined IT support to its customers. We are the true one stop source for all your healthcare technology needs from an infusion pump to your computer network. Denova Medical is integrated. We are specialists in outfitting entire healthcare facilities with high quality medical and computer equipment at affordable prices. Our goal is to facilitate equipment acquisition by maintaining one of the largest medical equipment inventories and providing product turnkey solutions for our customers. We offer a one-stop-shop platform where our customers can compare and contrast among major models and manufacturers. 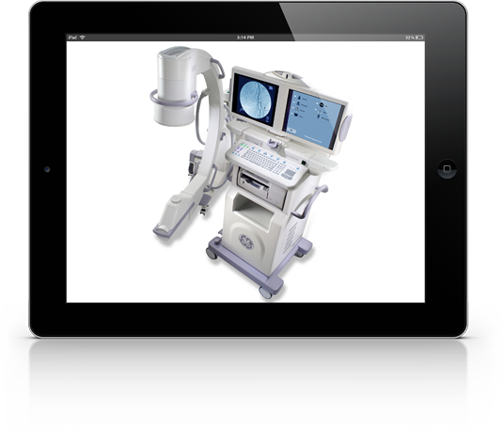 In addition to new medical equipment, Denova Medical is able to offer significant savings, up to 60%, by offering a wide variety of refurbished medical and computer equipment. To ensure our customers satisfaction, we adhere to the highest standards of quality by employing only multimodality skilled engineers that refurbish each piece of equipment according to the original equipment manufacturers (OEM) specifications. Finally, all of our products are accompanied by a comprehensive warranty, liability insurance and a national field service network that can guarantee our customers peace of mind. Denova Medical is an S-corporation registered in the state of NC, USA. The company is divided into four business units: administrative, technical, cosmetic and warehouse. The company’s backbone is in its technical and cosmetic departments which are primarily tasked with the refurbishment and support of medical and healthcare IT equipment. The cosmetic department will clean, sand, prep and paint the devices, while the technical department is responsible for electronic, mechanical and computer refurbishment. We employee AAMI certified biomedical engineers and CompTIA certified computer technicians. The Administrative unit houses our sales, marketing, accounting, HR and management departments. The warehouse is responsible for shipping, receiving, crating and container loading. Integration: Denova Medical is the first refurbisher to also provide IT support and IT integration. Computer Maintenance Management System (CMMS) Denova Medical, Inc. has thousands of devices in our database with sophisticated reporting and bench marking capabilities. Experience & Reliability: With over 20 years of management experience, Denova Medical is the leader in the refurbished medical equipment industry and our customers can count on us to provide a complete product turnkey solution guaranteed to meet their needs and budget. Large Inventory & Quality Products: Denova Medical, Inc. provides its customer with a one-stop-shop platform by stocking the largest quantity and variety of medical equipment in the industry, allowing our customers to compare among major models and manufacturers. In House Biomedical Engineering Department: Denova Medical, Inc. employees the largest combined team of biomedical and computer engineers in the industry. With their multiple technical certifications and training they can refurbish each piece of equipment according to the original manufacturer’s specifications and provide years of after sales support. Customer Service: Denova Medical, Inc. uses custom CRM software to coordinate our customer service response and field service dispatching. Parts: Denova Medical will keep the FDA 7 year of part and support recommendation to our refurbished equipment. Warranty: All of our products are accompanied by our standard one year warranty and we carry a comprehensive liability insurance guaranteeing our customers peace of mind.